It all started in 2007 for me because I wanted to support my boss at the time, Chris Williams, to help raise money for Great Ormond Street Hospital. This was the first event SIG Roofing had done of this type and raising money for excellent causes seemed to be a great idea. I lost my mum to cancer in 2012 and the Macmillan nurses and staff were brilliant all the way through such a terrible time for me and my family. 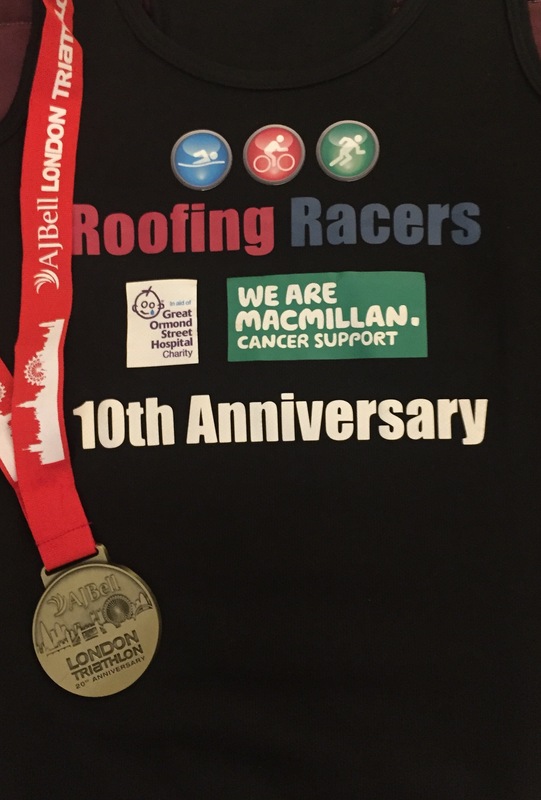 This year I entered as a team and took on the challenge of the run, during the last mile of the 5km I passed the Macmillan stand which I always find particularly hard now – I didn’t know when I entered the first triathlon nine years ago that I’d end up being involved with Macmillan personally. I wanted to raise lots of money for both charities this year and badgered pretty much all of my friends and family to donate, once they started avoiding me I moved onto suppliers and customers that I’ve worked with for a very long time. To make it fun and to encourage people to make those much needed donations I took advantage of an SIG UK Exteriors golfing event and held a court session every evening before dinner. This would fine people between 5 and 10 Euros for every ball they lost or failing to hit past the ladies tee. There were various ad-hoc fines for bad behaviour, which included unattended gold clubs, crashing golf buggies, slow play and even one customer jumping in the lake to cool down! I didn’t change my lifestyle too much, apart from going to the gym to increase my running distance. In the last two months leading up to the Roofing Racers event I started running twice or even three times a week. I always get really excited on the day so never over eat in the morning and mainly stick to liquids. This year I was lending my bike to my colleague George and travelled with it to the Excel Centre, I did try to gain some last minute training by rideing the bike as much as I could into London. You always feel the adrenaline rushing through you when you’re waiting to start your section and waiting for George to complete his cycle and tag me seemed to take forever; however once on my way I loved it. 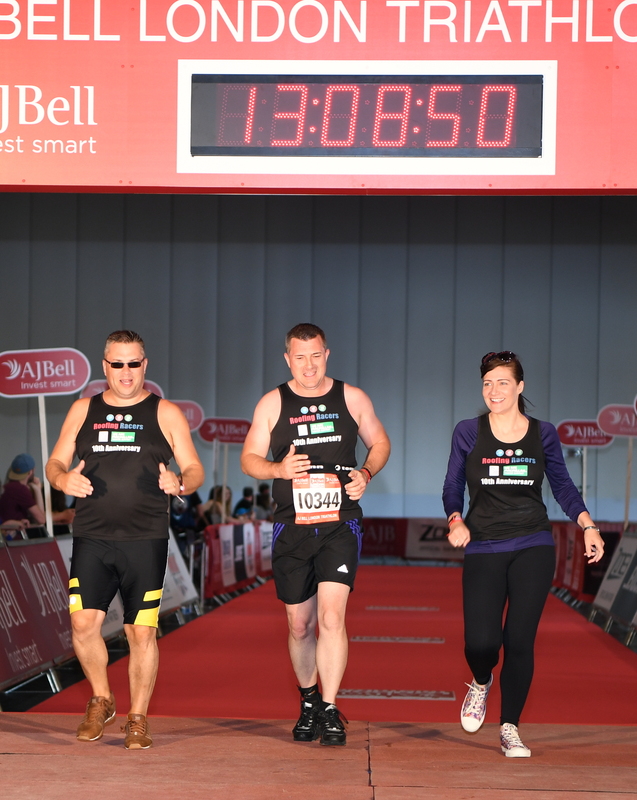 There is no better feeling than crossing that finishing line taking in pride in what you’ve achieved for charity. The event in the evening is always amazing; it’s full of the camaraderie spirit and fun – celebrating with your friends, family and colleagues.